Cleanby provides the finest car wash services with the added convenience of mobile service personnel that will come to your home or office to wash your automobile. Because we care about your car as much as you do, Cleanby uses the finest product line in automobile care and car cleaning. The goal of Cleanby is to provide the best car wash and cleaning "options" in the greater Miami and Broward areas. 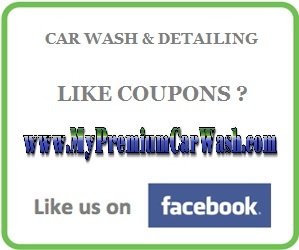 Below is a list of all our "Hand Car Wash Services". ﻿RV SEE "RV AND BOAT DETAILING SECTION"
HAND WASH VEHICLE AND MICROFIBER HAND DRY FINISH OR BLOWED, INCLUDING DOOR JAMBS, DRESS TIRES, AND FINISH WITH A PAPER MAT AND AIR FRESHENER. **ADDITIONAL CHARGES MAY APPLY DEPENDING ON VEHICLE LENGTHS AND CONDITIONS. Cleanby reserve the right to refuse service to any vehicle. Vehicles that have damage or deemed "not safe" for our staff to work on will be refused. Management has final decision.